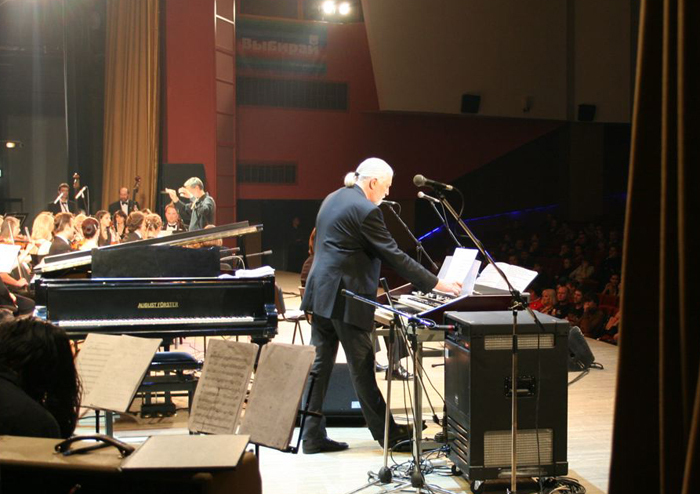 Pictured onstage, Jon Lord is performing the Concerto for Group and Orchestra at the Cosmos Concert Hall in Yekaterinburg on October 9 2009. Below a selection of passes employed at the Yekaterinburg concert. 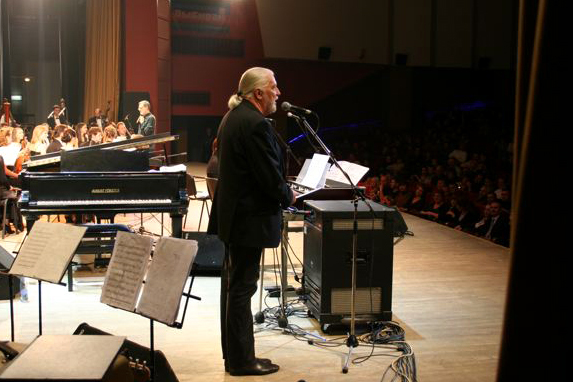 – Concerto for Group and Orchestra and more performed by Jon Lord with Steve Balsamo, Kasia Laska, Cry Free and orchestra. 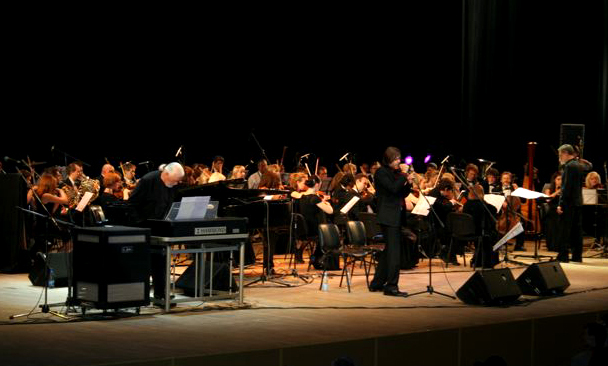 – Concerto for Group and Orchestra and more performed by Jon Lord with Steve Balsamo, Kasia Laska, Cry Free and the Moscow Symphonic Orchestra, conducted by Vladimir Ziva.